Many of us would have been subjected to Christmas jumpers and socks over the years. Don’t do the same to your four-legged friends. We all want a stylish new jumper that we can wear all winter round. Your dogs are probably no different so why not get them a stylish collar and lead set that is comfortable and will last past their birthday! 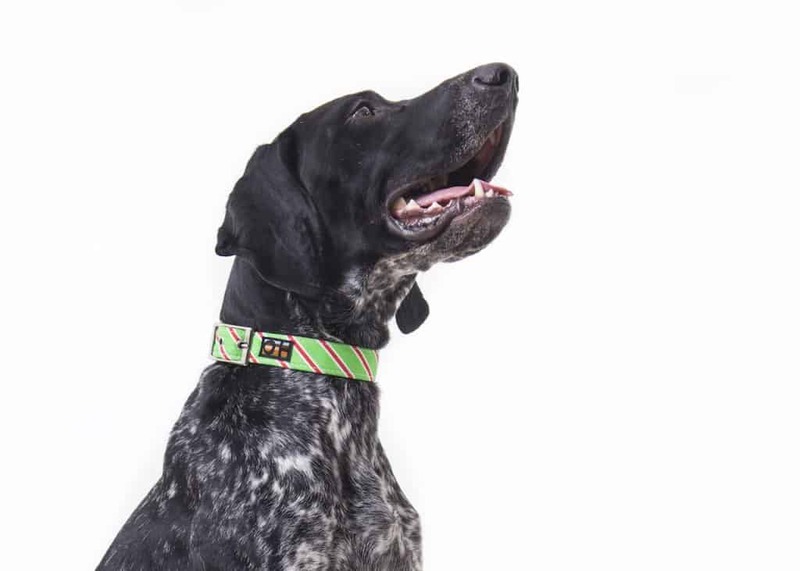 If you do want something that is stylish and a little Christmassy than look no further than our green and red striped range dog collars. It doesn’t matter how old you are, we all like a chocolate stocking. No doubt you have your favourite. Dogs also love a chocolate stocking (must be a dog friendly version, see our article regarding dangerous foods for dogs here). You will go through the usual debate of whether to let the dog unwrap the chocolates themselves, if it is safe to do so then why not! 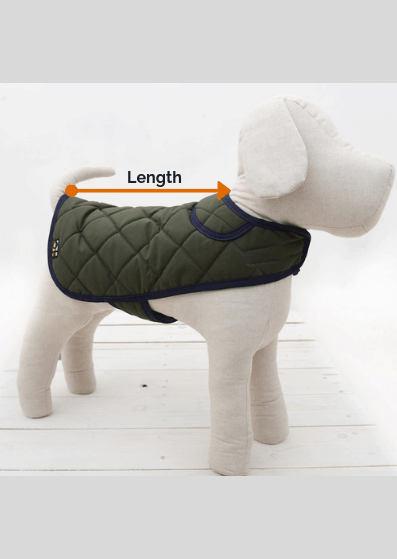 If you dog is prone to suffer in the British winter than something that keeps them warm may be the perfect gift at Christmas. We would remind you of our earlier comments re Christmas jumpers, you should opt for a stylish dog jumper that offers practicality. Alternatively, you may want something that will protect against all of the elements ready for a boxing day dog walk. If this is what you’re looking for then a new water-resistant dog coat may be a great option. 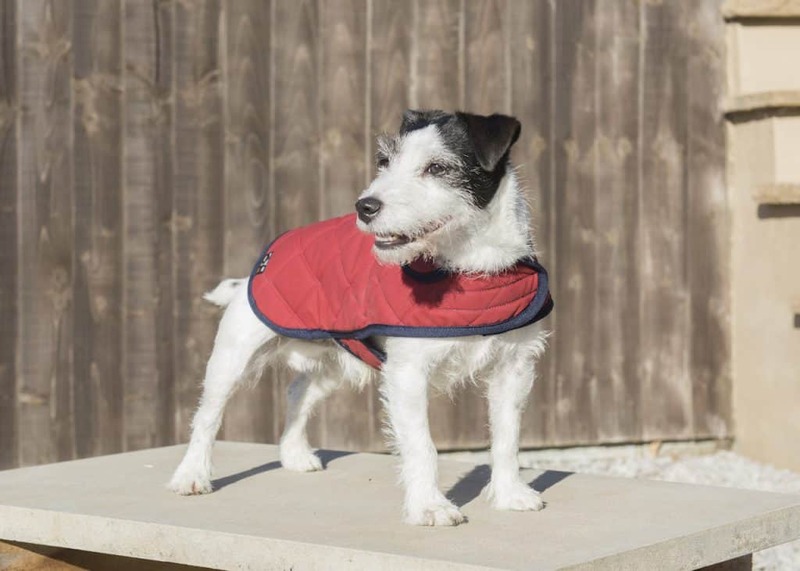 Oscar & Hooch quilted dog coats are fleeced lined and so provide protection against rain whilst offering warmth from the cold, if you want it to be a Christmas gift for your dog you may opt for the red one here. Everyone loves a Christmas dinner (mostly) so why not treat your dog to a special festive meal. You can leave out the brussel sprouts and go heavy on the bits your dog likes. Remember certain elements of our human dinners are not good for your dog’s so avoid those or at least reduce. There are lots of online recipes for healthy festive dinners for your dogs, if you have the time this can be a great way forward. Dog ID tags can last a lifetime, however, if your dogs is looking a little tired then Christmas is the perfect opportunity to upgrade. There are lots of very nice dog ID tags out there, from funny tags to stylish metal tags. Whichever you choose, a new dog ID tag could be the perfect stocking filler Christmas gift for your dog. Over time beds get dirty and smelly, even after washing they can eventually start to look a little tired and flat. They can be an expensive purchase, so Christmas is the perfect time to consider replacing you dogs’ bed with a snazzy new one. You could go down the Christmas themed route, but as a bed tends to last all year round, pick something you’re happy to look at during all seasons. Your pooch will be putting comfort first so bear that in mind, go for high quality cushions and soft fabrics that will mould you dog. Consider orthopaedic for your senior dog and don’t spend too much on a chewing puppy, you’ll regret it on boxing day! 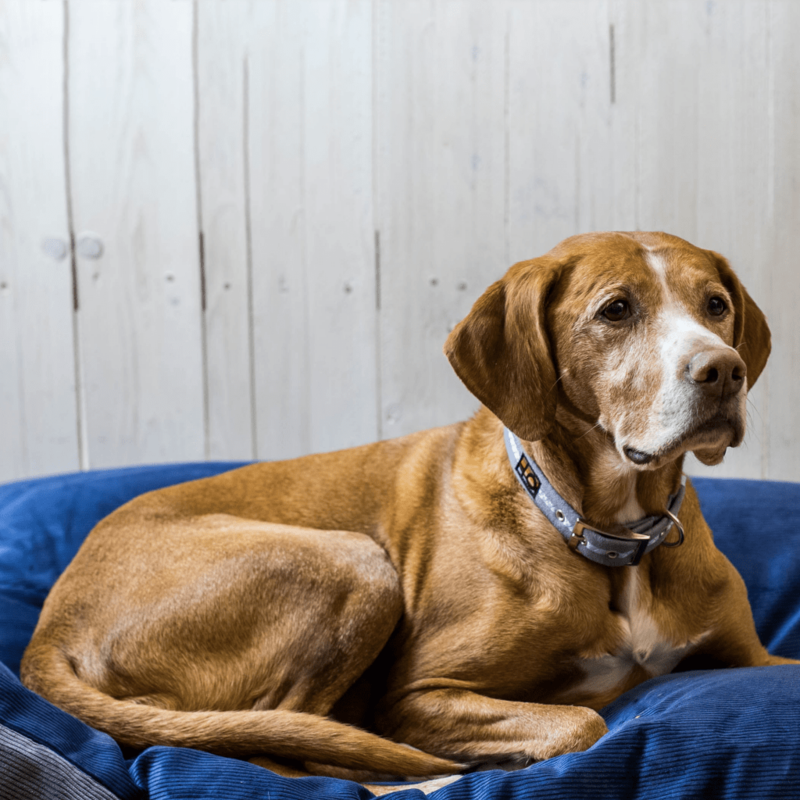 Oscar & Hooch make a very comfortable range in luxury corduroy with two cushions inside, the beds are fully machine washable and can be seen here. Like us dogs need amusement and activities to keep their brain tested. A good dog toy will keep you dog occupied and develop its brain. Christmas toys with squeakers inside can be very funny momentarily but are usually destroyed within minutes! Instead of buying cheap disposable toys that may end up with pieces that can be swallowed, opt for better quality toys that do their job. Make Christmas a time to really engage your dog with mental challenges. For ideas see our article here on brain training for dogs. Most people don’t buy many feeding bowls or water bowls, most last for the majority of your dog’s lives. We don’t want to encourage adding to the planets waste, however if your dog’s bowl is looking tired and a little unhygienic then a new bowl is a great gift for your dog at Christmas. Its first use can be that special meal you’ve prepared…. We meet a lot of dog owners and it is clear that we all love our dogs dearly. Time is precious and working people struggle to find time for many activities, including quality family time which includes your dog. 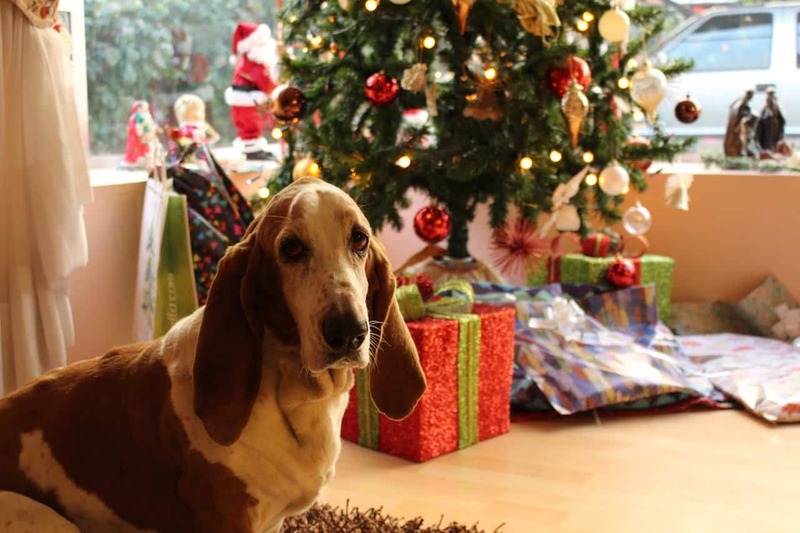 Make Christmas special, make your dog part of the festivities and devote some quality time just for your dog. Presents are great, and your dog will thank you, but the greatest Christmas gift for dogs anyone can give is their time….